As an American abroad, I live a strangely dystopian life as a reader. I inhabit a land without bookstores. Well, not exactly devoid of them, but without shops selling books in my preferred language. No thrilling displays of the National Book, Newbery, or Caldecott winners. Not even of Britain’s medallists. Every English-language book in my library crossed the Atlantic or Channel concealed within a suitcase or brown box. This works fine for novels. I scour reviews, blogs, facebook, and twitter. Matchmaking friends know what I love. A book crosses the border. I read. And I am happy. But I am a reader of myriad forms—nonfiction and poetry, thick novels and slim picture books. And it is this last form that most often causes me trouble in this land without English bookstores. You see, I lack the ability to discern at distance whether a picture book is one I will love. I am unable to judge a picture book by its cover—or even its blurb. Having to pay international postage and wait two weeks to be reminded of this failing only makes it worse. The solution I have found is to indulge in French picture books. When I am craving something new, I head down to a magnificent little bookstore, called Cha-Pitre. Switzerland’s own French-language population is too small to support the publication of more than a few picture books each year, so most of Cha-Pitre’s “albums,” as they are called, come from French publishing houses. The local doyenne of children’s literature, Isabelle Troyon, runs Cha-Pitre, and Isabelle is a true romancer of stories. I don’t think I’ve ever left her with less than five books in my arms. 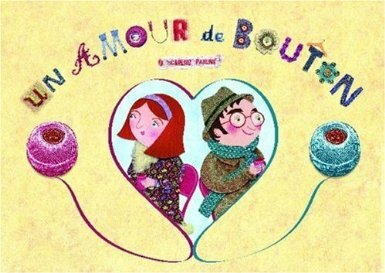 She introduced me to my favorite telling of Stone Soup, Une Soupe au Caillou, and my favorite short love story, Un Amour de Bouton. 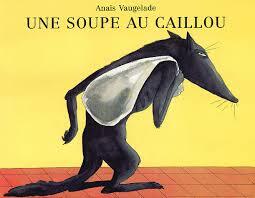 But there are cultural differences, for sure, between the American picture book and the French album. The French seem to forgive a lot in a story if the graphics work. The story can be targeted toward parents, not children. It can be abstract and nonlinear, even difficult for an adult—at least, this adult—to understand. And it can be much more frightening than what we are used to presenting to children in America. See, for example, the books in this article from The Guardian. So, while I’m here in Switzerlnad, I’ll keep searching out the jewels like Une Soupe au Caillou and Un Amour de Bouton. And the next time I’m in America, I’ll be sure to stop by shops like Books of Wonder and The Flying Pig so that I can stuff my suitcase with as many paper theatres that I can. Tags: books, Picture Books, Sandra Nickel, Switzerland, The Writer's Life, Writing. Bookmark the permalink. 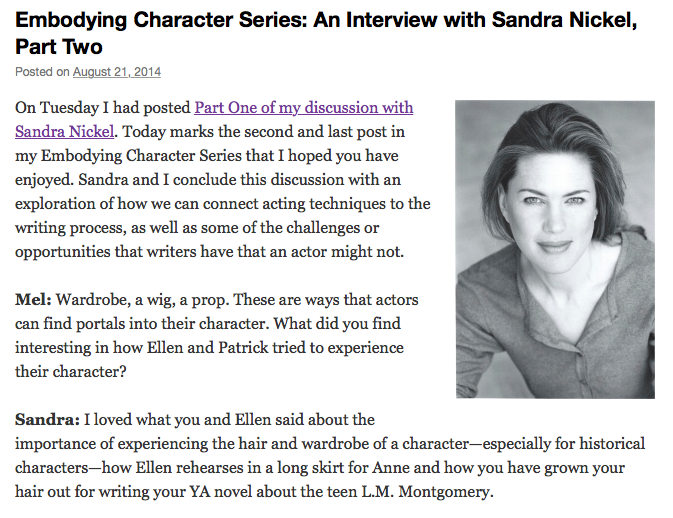 Wonderful post, Sandra! I’m glad you told us what’s up. I’ll be sure to keep sending my recommendations (like Extra Yarn by Mac Barnett). I love this quote: “32 pages of performance… Thousands of copies, each one a paper theatre.” So true!!! And I’m glad you’re writing that kind of theatre too. Thank you, Linda. I’m definitely ordering Extra Yarn. I know I can count on you. 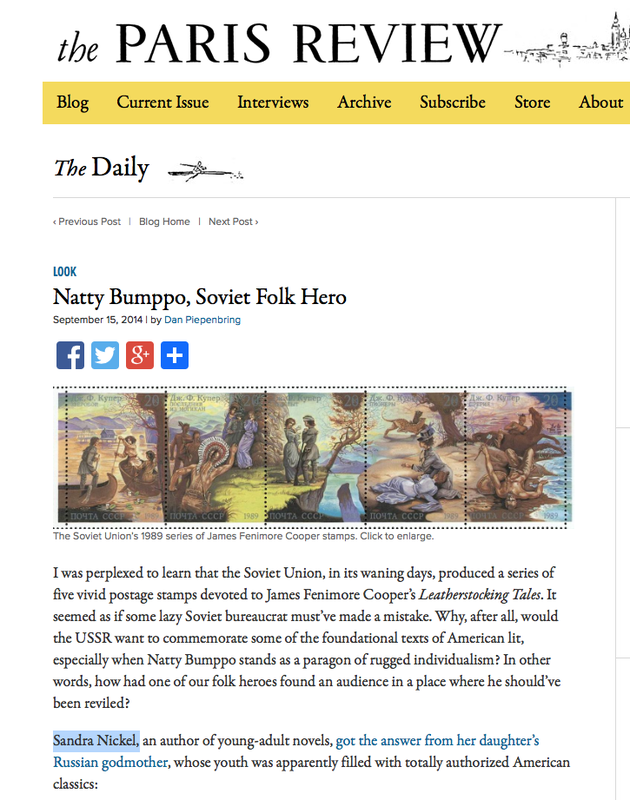 I love a picture book that succeeds on every level – written word & visually. I agree about cultural differences in what qualifies as “story” – I’ve noticed this in some of my Kidlet’s picture books that are not written in English. Interesting that you say that, Elisabeth, because the picture books you are looking at are in German, I believe. Am I right? So the cultural differences are there too. This is why we need English-language children’s bookstores throughout Europe. They’re also good for children and adults who are learning English–which a lot of Europeans are. I know you’re not in the Eurozone, but is is hard to ship books from country to country within the Eurozone, if there were an English-language bookstore with an online business as well? Lyn, I don’t know about shipping costs and duties between European countries, but I do know that Amazon has a quite strong presence in Europe. It is in France, Germany, Italy, Spain and the UK. They even have the domain for amazon.ch (ch, for Switzerland), which automatically redirects to amazon.de (Germany), since the majority of Swiss speakers speak German. As an illustrator, I also find it difficult if the story isn’t well written. I want to believe in the story or at least it has to hold my attention. I usually run the story through my kids to gauge their reaction. There is sometimes a tremendous pressure to make sure that the book is illustrated well even if the story isn’t written well. It will be great if a book has both otherwise, I would prefer that the story is well written for children. Joanne, it’s very interesting what you say about the pressure to make sure the book is illustrated well even if the story isn’t written well. It makes so much sense. And I don’t mean to say that I don’t adore seeing gorgeous artwork. I definitely do! Like you, I’m happiest when the story and the illustrations complement each other, yet each side stands strong on its own.